In our last post, we introduced the Federal Front Door project and briefly described a six-week discovery phase, in which we set out to better understand how the general public feels about and interacts with the federal government, so that we can design and build products that improve people’s experience across government agencies. 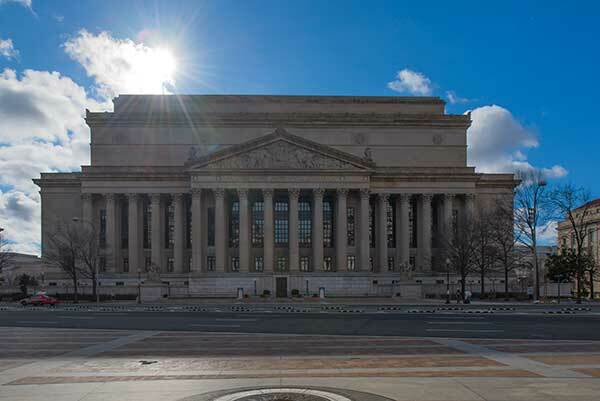 We think of the federal front door as the places the public first interacts with their government. There are many front doors—agency websites (like benefits.gov), physical places (like Social Security offices), contact centers (like 1-844-USA-GOV1)—where people start interacting with the government. Today, we’re publishing a full report with findings from our research, as well as a microsite that will contain future research findings related to these topics. In the coming days, we’ll also be publishing the complete report on the 18F blog. We conducted 35 interviews of roughly 45 minutes and 29 short intercept interviews in Jacksonville, Kansas City, Minneapolis, Philadelphia, and Sacramento. We also collected 52 diary entries from seven diary study participants. Capacity—Lack of public servants to handle the number of people interacting with federal agencies. Digital Infrastructure—Systems do not cross agency barriers and assist the public with getting through forms and process. Volume of people seeking government information or services—The sheer number of people attempting to interact with the government on the daily basis causes many bottlenecks and issues. This post provides an overview of these findings. Additional information and findings is published (pdf) and will be published in a series on our blog over the next two weeks. People rely on friends and family for help and guidance during major life events or through difficult processes. People most likely to rely on others include seniors, non-native English speakers, and people with a disability. When someone experiences a major life change, their friends and family will offer them advice on what to do, including on what government benefits they should apply for. This relationship extends to getting help with difficult government interactions. For example, someone may help their Spanish-speaking parents file their taxes every year. When social networks break down for people, they are more likely to slip through the cracks. Many low-income seniors or seniors with disabilities have no social networks, and as such have no one to help them access online government services. People will also ask librarians, senior center staff, and other agency staff to help with online applications, but in many cases those ‘helpers’ are forbidden to help these people by their employer’s policy. When government officials refuse to talk to a proxy about a person’s case, that person is often stymied in their efforts to access government services. The general public wants to be able to “see” the process when interacting with federal agencies and programs. This includes knowing when their information has been received, reviewed, and overall clarity into why the process takes as long as it does. People expect to wait, but the reasons why and the causes for delay continue to be a mystery. When people know how their information is going to be used and why it’s needed, they are more comfortable providing personal information to the federal government. In addition, if eligibility requirements were clearly explained, people would be better prepared and only apply for programs that fit their need. When people interact with the federal government, typically there is a lot of pressure on their shoulders. The source of this pressure could be the life event that is triggering the interaction. The pressure also comes from the idea that people only get one shot to get their paperwork right, that there are negative consequences for doing something wrong, and their request is being treated as a potentially fraudulent rather than coming from a place of real need. Choices that have so many options, it’s hard to know which is the best to pick (e.g. picking a Medicare Part C plan). Choices where it’s hard to figure out the consequences of picking a particular option (e.g. choosing an age at which to start drawing on Social Security). People like having choices; they just struggle to make the best choice in these situations. They want to know which choices align with their goals and understand the trade-offs between them. Trust is a two way street and includes both the public trusting the government and the government trusting the public. We should assume real need and positive intent when designing services. Many people felt like interactions with government employees and agencies, as well as digital services, assume they have negative intentions or they are lying, lazy, or a criminal. 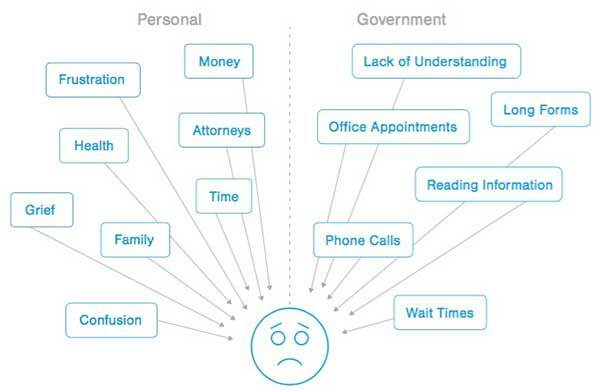 People employ a variety of strategies before deciding to trust a government digital service. They look for https, .gov, official logos, and/or specific language like “this is an official government website.” Others do not differentiate between government services and private companies or think government websites cannot be spoofed and fall victim to scams. We need to consider how we can help people spot official websites and services. Before using a government service or applying for benefits, people assess the return on investment. They want to know if the time and effort spent interacting with the government will be worth the benefit. We can do more to lower the initial investment. 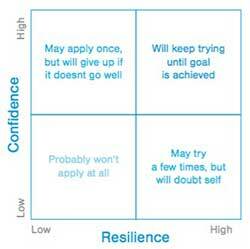 If you are less confident you will get the service you need, you are less likely to apply for those services. Some people are easily discouraged and give up after one attempt, while others are resilient and willing to persevere. This can be based on past experiences with the government or lack of confidence in their ability to deal with government bureaucracy. People are frustrated when the same information is asked multiple times across agencies, from within the same agency, and across levels of government.This increases the cost of interacting with the government. These factors can lead some people to interact with the government through private companies, like enrolling in Medicare through Kaiser, or through professionals, like lawyers or funeral homes. Some of these relationships with private companies are more official and sanctioned, while others seem to be filling in the gaps. Generally speaking, people understand that to interact with the federal government it will require them to provide certain key pieces of information to help identify themselves, and additional information that is required for the specific interaction. How people feel about providing that information, and how it might be used both for their current interaction and potential future ones is a bit of a mixed bag. People see the value of sharing their information, however members of the public would like to opt-in to sharing their information across the government, manage requests for their information, see who is accessing their information, and understand that their information is secure and not being shared outside of the federal government. Broaden the draft U.S. Web Design Standards to include best practices for transparent service design, trust, and accessibility. Include guidance on forms, communicating application status, explaining processes and other ways to open the “black box” of government. This effort will improve the quality of online service delivery, freeing up capacity on more-expensive channels like call centers for those who truly need them. Create guidance on multiple methods to create and reinforce user trust in government systems. Suggest design patterns for simplifying and clarifying the consequences of important choices. Identify one or more cross-agency services that will serve as good pilot (those that cause the most confusion due to “the black box of government) programs for experimentation with streamlined service delivery and possible shared services. Create or improve existing eligibility-checking toolsThis post was originally published on the 18F blog by Colin MacArthur, Carolyn Dew, John Yuda, 18F team members, and Michelle Chronister, formerly USAgov.